The CEOs of Monsanto Co and Bayer AG met with President-elect Donald Trump in New York on Wednesday to seek his approval over their planned $66 billion merger. German pharmaceutical and chemical company Bayer agreed to purchase the US agricultural giant last September. The trio met at Trump’s ‘transition’ headquarters in Manhattan shortly after the president-elect’s press conference where he announced the transfer of control of his company to his sons to avoid conflicts of interest while in office. 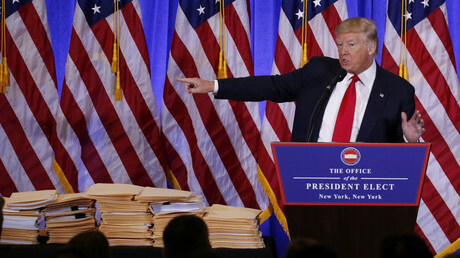 Speaking to the press, Trump also shot down an unverified report published by BuzzFeed claiming Moscow may be blackmailing him. The meeting focused on the issue of regulatory approval for the deal from the US Department of Justice’s Antitrust Division. The merger will also need approval from EU regulators. 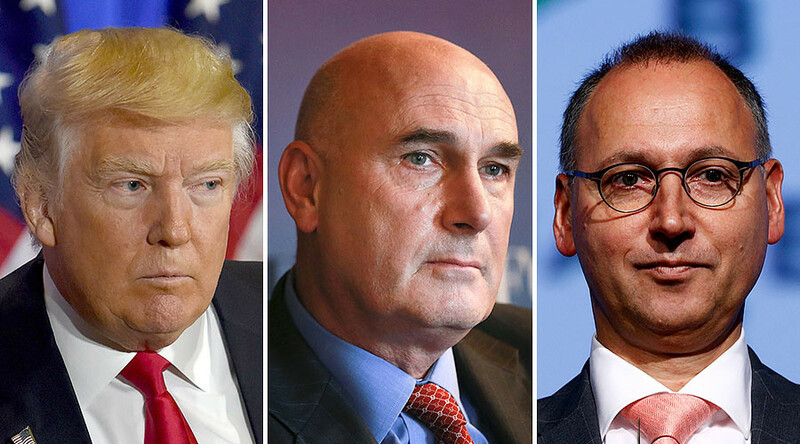 "Today, Werner Baumann, Bayer CEO, and Hugh Grant, Monsanto CEO, had a productive meeting with President-elect Trump and his team to share their views on the future of the agriculture industry and its need for innovation," a Monsanto spokesperson told Fox Business. Baumann and Grant pitched the deal to Trump as an incentive to keep and create more jobs in the US. The deal has been making headlines since it was announced because of the sheer size and power of such a merger. If successful, Bayer-Monsanto would own 29 percent of the global seed market and a quarter of the global pesticide market, according to MotherJones. Monsanto has made its name as one of the biggest producers of powerful pesticides as well as genetically modified organisms (GMOs) – a controversial technology some agricultural plants use to produce large quantities of food for a relatively low cost. While the company says the technique allows farmers in poorer nations see better harvests, many pro-organic consumers argue these crops carry significant health and environmental risks. Trump has yet to nominate anyone for the agriculture aecretary post in his new cabinet. The agri sector contributed $985 billion to the US GDP in 2015, according to the US Department of Agriculture.